According to the NHS, 40% of us are suffering from some sort of digestive health issue at any given time. The most prevalent are abdominal pain, changes in bowel habit, indigestion and heartburn. These are often caused by lifestyle issues such as food choices and stress. The problem is that modern life is not conducive to healthy gut bacteria. Many of us suffer from unbalanced microflora in the gut. This can be caused by numerous factors, including high sugar or acidic diet, alcohol, illness, antibiotics and stress. In turn, an increasing number of health conditions are caused by gut bacteria issues. What we put into our body can have a huge effect on our gut bacteria. Taking probiotics is a simple way to give your gut a helping hand. When the balance of good bacteria and bad gut bacteria fall out of equilibrium, health issues may occur. 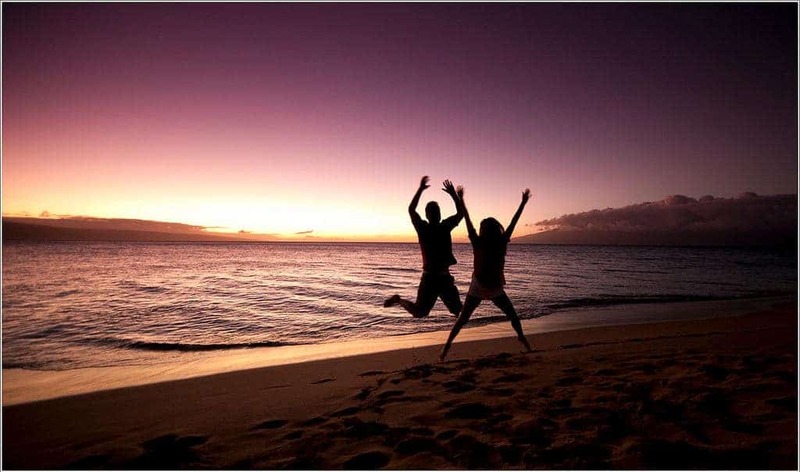 Probiotics consist of a mix of friendly bacteria which are necessary for the normal functioning of the gut. 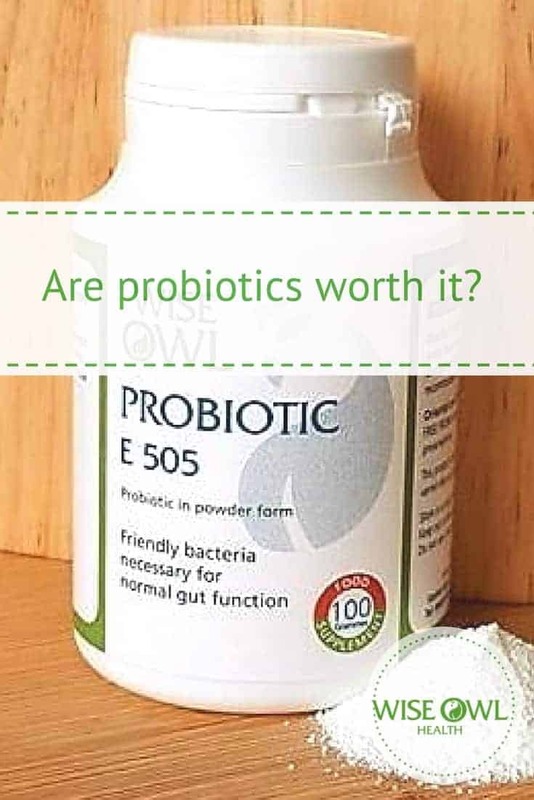 What makes Wise Owl's probiotics different? Wise Owl's probiotics are the result of years of extensive research. The bacteria in many probiotics do not reach the gut alive. To be effective, they need to be able to survive the acidic environment of the stomach. 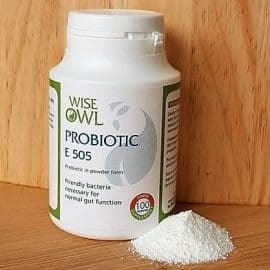 Wise Owl's probiotics are in powder form rather than capsules or tablets. The bacteria are re-hydrated in a glass of water, returning them to their most active phase BEFORE they reach any stomach acid. Taking them on an empty stomach, without 'yoghurt' or other food substances also helps to prevent the stomach from producing any extra acid.